It will be partly sunny with a high near 73 degrees and a low around 54 degrees. There's a 60% chance of showers and thunderstorms before 2 a.m., with showers likely between 2 a.m. and 3 a.m., followed by a chance of showers and thunderstorms after 3 a.m. New rainfall amounts of less than a tenth of an inch are possible with higher amounts in thunderstorms. 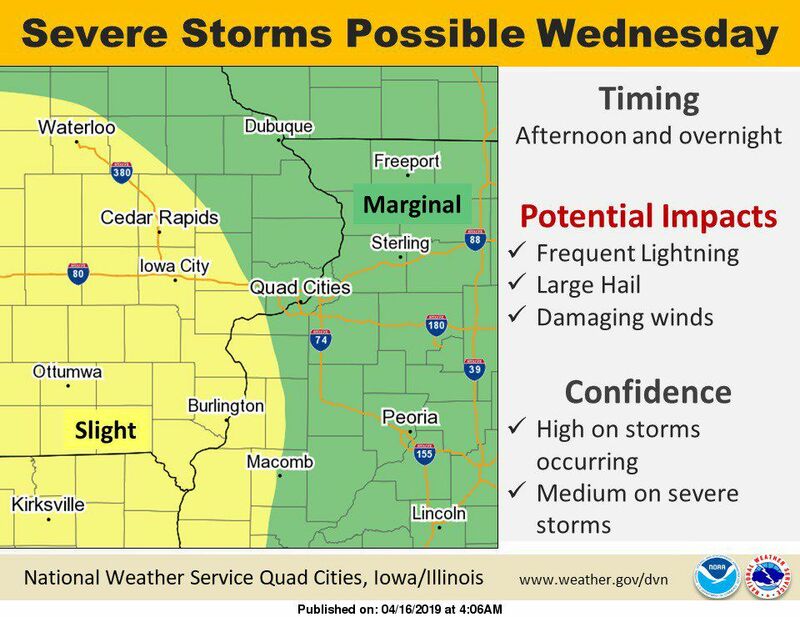 Wednesday will see scattered showers and thunderstorms between 8 a.m. and 9 a.m. 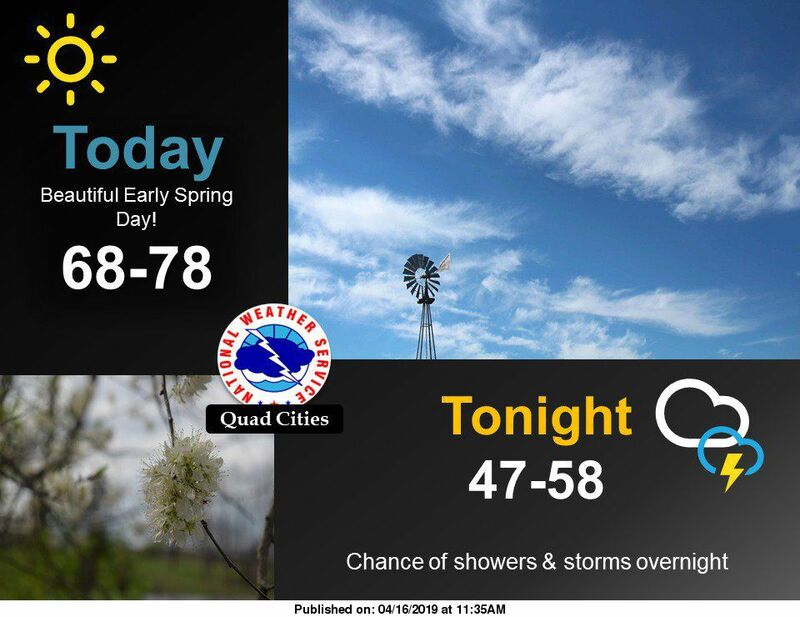 Skies will be cloudy with a high near 72 degrees and a low around 50 degrees. The chance of precipitation is 30%. Wednesday night we can expect a chance of rain and thunderstorms before 10 p.m., then scattered showers and thunderstorms after 11 p.m. Winds will gust as high as 25 mph. The chance of precipitation is 50% with new rainfall amounts between a tenth and quarter of an inch possible with higher amounts in thunderstorms.